Camping fridges are a somewhat controversial topic in the world of camping because not everyone likes the idea of bringing a fridge with you when you are supposed to be enjoying the outdoors. Plenty of people are fine with bringing coolers filled with ice, but a refrigerator tends to cross the line for most avid campers. There is nothing wrong with bringing a mini fridge with you on your camping trip because you have to be able to keep certain items cold when you are camping out in the heat. 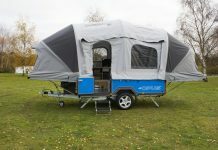 There are many different types of camping fridges that get power from various different sources, but you are going to need your car or other vehicle close by in most cases for them to work. This is fine for most people because a lot of individuals find themselves camping right next to their cars when they go out in the woods. Some people even sleep in their camper vans at night because they are so spacious and made for the specific reason of camping. Anyone who wants to keep some water cold or bring some deli meats with them on a camping trip is going to need a mini-fridge if they are going to be gone for more than a day. A cooler will work for a little bit of time, but you will eventually find that the ice has melted and the cooler is no longer cold. People who need to keep some things cold on their mini vacation should definitely look into getting a fridge for camping purposes. What are the uses of camping fridges? You usually need to bring camping fridges with you on a trip if you want to keep things warm because coolers will not last forever. 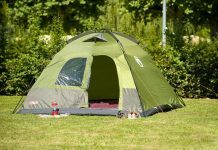 There are many different items that you can keep in your camping fridge, and you can keep your fridge in your car if it needs some kind of power source. 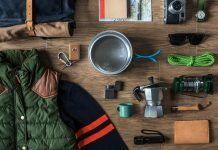 You could also get a generator with your fridge if you feel as though you want to bring your fridge out into the wilderness and away from your car. 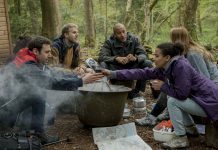 It can be hard to find the right foods to eat when you do not have a fridge out in the wild, and foods are the main reason that a camping fridge is such a great idea. Anyone who loves to enjoy deli meats during the day will be happy to know that they can keep their meats cool in the fridge during the day while they enjoy the outdoors. There is no reason to only eat foods that can stay warm over long periods of time when various fridges are available for camping purposes. 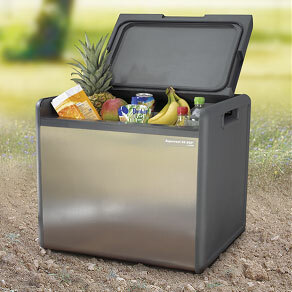 Where can you get a fridge for camping? The best place to shop for camping fridges is the Internet because that is where you will be able to find any fridge that is made for camping these days. You will have plenty of different options available when you use the Internet, so make sure you take a look at all of your choices before you make your final decision.